Below you can view all the homes for sale in the Memory Lane Gardens subdivision located in Commerce City Colorado. 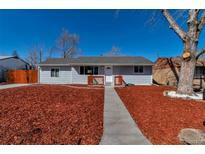 Listings in Memory Lane Gardens are updated daily from data we receive from the Denver multiple listing service. To learn more about any of these homes or to receive custom notifications when a new property is listed for sale in Memory Lane Gardens, give us a call at 720-729-2338. You've got to see this one! MLS#6617396. Wilson Group Real Estate. Call now to schedule your personal showing! MLS#9248433. TRELORA. Come see your delightful home today. MLS#9792137. PROFESSIONAL BROKERS GROUP.